Need something to read on the go that will also help you advance your entrepreneurial career? 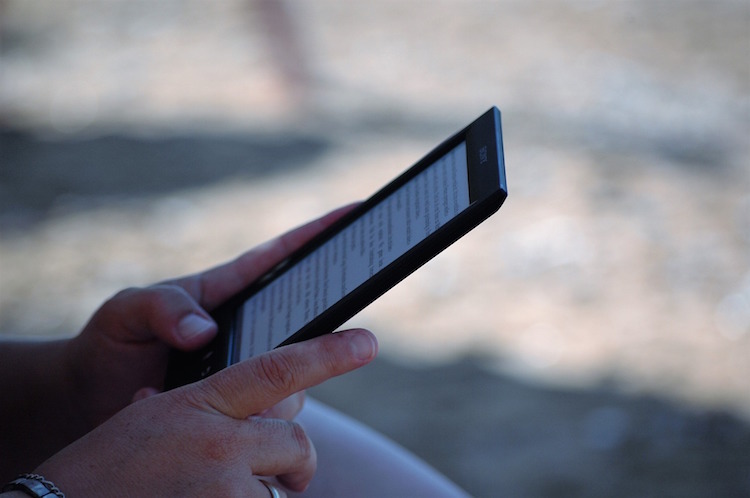 Here are some of the best Kindle books to download immediately. Do you think you do not have what it takes to launch a successful business? You are probably wrong. Richard Branson is a successful entrepreneur who dropped out of high school, lives with dyslexia and has never had a “real” job. His leadership style focuses on listening, passion and fun, which is a unique, but clearly effective, way of looking at business and success. This book will teach you how to be a leader from the viewpoint of someone who has never been afraid to do things his own way. Zappos CEO Tony Hsieh knows how to build a happy company, with happy employees and even happier customers. Business is not just about making money: even more so, it is about giving people what they want and need, treating them well and rewarding them for a job well done. Hsieh’s book will take you through the experiences he faced throughout his life that taught him the value of excellent service not just to customers, but to everyone involved in the buying, selling and creation process. Successful companies are people-centered: everyone matters. Want to start your own business, but aren’t sure what your first step should be? This book is for you. Dan Norris takes you, quickly, through everything you need to know to launch a successful startup. You will learn how to turn your idea into something real, pick a good name, build a website in a day and how to market what you are trying to accomplish. There is no use waiting: the only way you are going to learn how to do things right is to start. If you have a business idea, but don’t necessarily want to be the one to do all the work, this book has the tools and strategies you need to move forward. If you have a good enough idea, and know how to turn that idea into a product or service others will want, companies will reach out to you and offer to take it off your hands – and if you are willing, you can let them do just that. When people say you cannot build a business alone, they aren’t kidding. You need other people who are going to support your efforts, especially to carry your existence via word of mouth to people who otherwise may never hear about you. Lior Zoref shows you how to use connections such as social networks to fuel your efforts as a brand new business to help it grow. In the classic David and Goliath story, David overcomes his greatest obstacles to defeat a giant no one else could. These same principles can be applied to starting a business. According to Malcolm Gladwell, you may not think you have what it takes to make it as an entrepreneur, but it is those weaknesses that make you one of the most capable entrepreneurs out there. Learn strategies to look at obstacles differently, conquer your own perceptions and be the business owner you have always wanted to be. PayPal. LinkedIn. TED. You may have heard of them. But have you heard from their founders? Deciding to build a business and building a business are two completely different things. It takes a lot of effort and determination to take a business from an idea to a renowned success. This book features interviews with the founders of some of the top companies in the world to show you what it takes to do the impossible. According to bestselling author Seth Godin, it is a myth that you can never quit if you want to be successful. That is what this book is all about. If you want to be a winner, you need to learn when it is smart to keep going and when it is in everyone’s best interest to quit. The longer you keeping pursuing projects that are not going anywhere, the more time you are wasting not pursuing projects that are actually going somewhere. Written by the co-founder of Pixar Animation Studios, this book will show you not just how Pixar creates its most successful projects, but also how to build and manage a company culture that cannot exist without creativity. You will want to read this book if you are someone who wants to bring originality and ‘thinking outside the box’ to a whole new level. Creativity isn’t just for filmmakers and animators: it is a tool that everyone has, but not everyone knows how to utilize effectively. On the outside, may entrepreneurs, to those who do not think the way entrepreneurs think, seem scattered and indecisive. They are risk takers, often perceived as reckless ones. In reality, many entrepreneurs are the way they are because they suffer from Attention Deficit Disorder (A.D.D.). Matt Curry is one of these entrepreneurs. He uses the pages of his book to show you how you can use living with A.D.D. to your advantage as a future business owner, instead of letting it hold you back. All the excuses you have ever made for not starting a business don’t matter anymore. Download your copies of these must-reads and get started now, not later.